As a one-stop shop for sports pitches, SIS Pitches designed, manufactured and installed this pitch for The Grammar School at Leeds, one of the UK’s leading independent schools for children aged 3-18. This project included the complete construction of a full-size third generation (3G) pitch including perimeter fencing, floodlighting, and a new access road. The pitch, handed over in September, is synthetic SISTurf Scrummager 60, with a 20mm shockpad layer and is one of many sports facilities offered at the school. At SIS Pitches, our passion and clear focus on quality means we are World Rugby Preferred Turf Producers and all of our rugby pitches meet these standards. 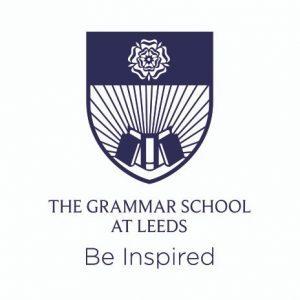 We really enjoyed working on this three month project with The Grammar School at Leeds! The pitch looks great and we hope the school enjoy using the pitch for years to come. Following a competitive tendering process, SIS Pitches were engaged to construct a new floodlit combined rugby/football 3G synthetic turf pitch for The Grammar School at Leeds. In order to meet the school’s budget for the project, value engineering savings were offered by SIS Pitches and subsequently accepted to ensure that it could commence on schedule. During the course of the works, SIS Pitches established a good working relationship with STRI and the school and the pitch construction proceeded smoothly over the summer of 2018. The project was completed and the pitch handed over to the school in time for the commencement of the new autumn term, with the required performance test certification in place. The school is now able to provide a valuable outdoor facility for both match and training purposes benefitting local clubs and teams, as well as its own pupils.